One of those cult hits that everyone latches onto years after it came out. 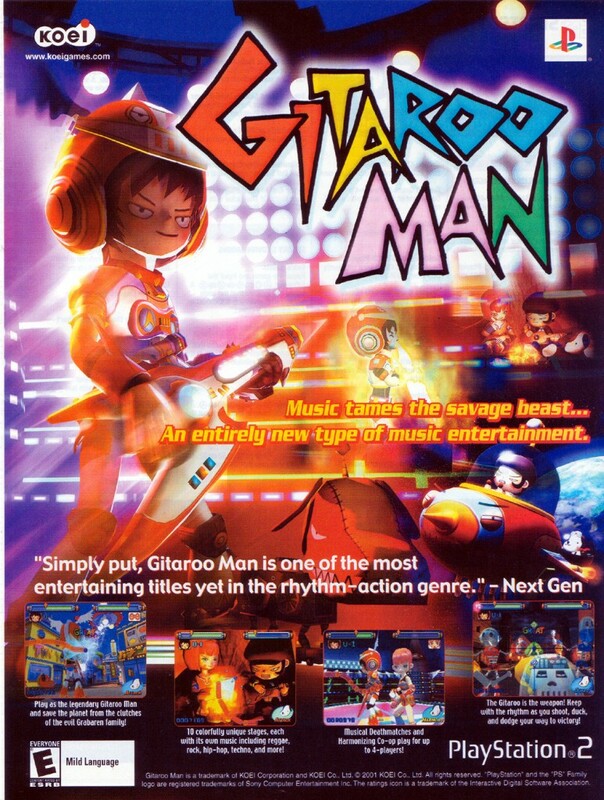 Gitaroo Man is a music/rhythm game developed by iNiS and published by Koei for the PlayStation 2 in 2001. The game is about a boy named U-1, who is taught how to play the guitar by a talking dog named Puma. There’s a sequel of sorts on the PSP called Gitaroo Man Lives.